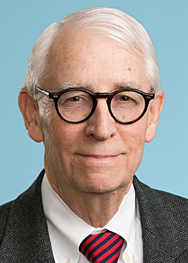 The celebrated case of Mingo Logan Coal Co. v. EPA was returned to the U.S. District Court of the District of Columbia after the Court of Appeals reversed the District Court’s ruling that EPA had illegally invalidated a Army Corps of Engineers (“Corps”) 404 permit issued to Mingo Logan’s proposed coal mining operations in West Virginia. On March 14, 2014, the Supreme Court rejected any appeal of the DC Circuit’s opinion, which is reported at 714 F. 3d 608. The District Court completed its review of the remaining APA issues and on September 30, 2014, ruled that EPA had broad authority under the law to veto a Corps permitting decision. Mingo Logan requires Clean Water Act (CWA) National Pollutant Discharge Elimination System (NPDES) permits to conduct coal mining operations at the Spruce No. 1 Mine in West Virginia. The permit application process was initiated by Mingo Logan’s predecessor in 1998, and the State of West Virginia issued an NPDES permit to Mingo Logan pursuant to its delegated CWA Section 402 authority, and the Corps issued a CWA 404 permit in 2007. The operations triggered opposition because of the perceived consequences of “mountain fills” in West Virginia and their impact on navigable waters and wildlife in the area. Two years later, EPA asked the Corps to revoke or modify its permitting action, but the Corp refused to do so. EPA accordingly invoked its authority under CWA Section 404(c) to withdraw the disposal sites that were designated in the Corps permit. In 2011, EPA completed its action to withdraw theses designated disposal sites. Mingo Logan sued EPA, and the District Court agreed with its argument that EPA acted too late, a ruling the Court of Appeals reversed in view of the plain language of the statute. The District Court has now reviewed the remaining APA arguments, in particular whether EPA’s determination that discharges permitted under the 404 permit would cause unacceptable adverse environmental impacts was arbitrary and capricious. The District Court held that EPA’s determination was reasonable, supported by the record, and based on considerations within EPA’s purview. The District Court noted that EPA had continually expressed its concern about the impacts of the proposed discharge while the permit was under review by the Corps. It also held that an email by an EPA official to Mingo Logan that the agency had no interest in pursuing the matter any further after the Corps acted could be disregarded since this kind of statement could not bind the agency. The agency was always free to change its mind, and the email was not the product of a formal legal process requiring APA compliance to do so. While the District Court was critical of EPA’s argument that the proposed discharge would likely harm an endangered species that had never been seen in the area of the proposed coal mining operation, there were plenty of other species that could be harmed. Finally, the District Court rejected the argument that EPA’s concerns about water quality somehow invaded the State’s regulatory sphere. Under the CWA, West Virginia is given the authority to make water quality rules and designations under CWA 401. EPA’s concerns about downstream water quality were authorized by other provisions of the CWA, and indeed, the agency is not required to consider West Virginia’s water quality determinations at all when it exercises its veto power under CWA Section 404(c). In the District Court’s view, in these circumstances, EPA can impose even stricter water quality standards than those required by the State.